The Central Bureau of Investigation is probing role of second student in the murder of Pradyuman Thakur murder case, said sources. NEW DELHI: The Central Bureau of Investigation (CBI) is probing role of second student in the murder of Pradyuman Thakur murder case, said sources on Friday. Pradyuman was found dead inside the toilet of the Ryan International School, Gurugram, with his throat slit on September 8. According to the CBI sources, the agency is probing role of a second student who accompanied the arrested Ryan student. The cold-blooded murder case of the seven-year-old Pradyuman Thakur took a new dimension on Wednesday after the CBI trashed the probe by the Gurugram police and gave a clean chit to the bus conductor arrested with the charges of murder and sexual assault in connection with the case, and arrested a juvenile, who was produced before the Juvenile Justice Board on Thursday, which granted his three-day CBI custody. The sources also said the CBI is also verifying the veracity of gardener and PT teacher's statement given to local police. The CBI has told the juvenile court Pradyuman murder accused admitted crime in presence of his father and other witnesses. 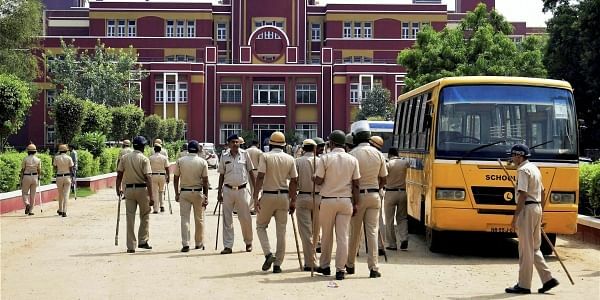 India’s premiere probe agency has said the accused committed crime in order to postpone the parents-teachers meeting and the exams. Meanwhile, the victim's family has demanded that the juvenile student be tried as an adult and accordingly, be given a harsh punishment. The CBI was handed over the case on September 22. Meanwhile, Gurugram Police Commissioner Sandeep Khirwar on Thursday defended their investigation by saying that they handed over the case to the CBI at a very initial stage and it was not concluded that time. Police Commissioner said that they were not under pressure to save the culprit and asserted that they did "honest attempt to bring justice to the family".